[LA PEROUSE] Loi relative à M. De la Peyrouse, et à l’impression des Cartes par lui envoyées. Donnée à Paris, le 4 Mai 1791. Melun [Département de Seine et Marne] : Tarbé, 1791. 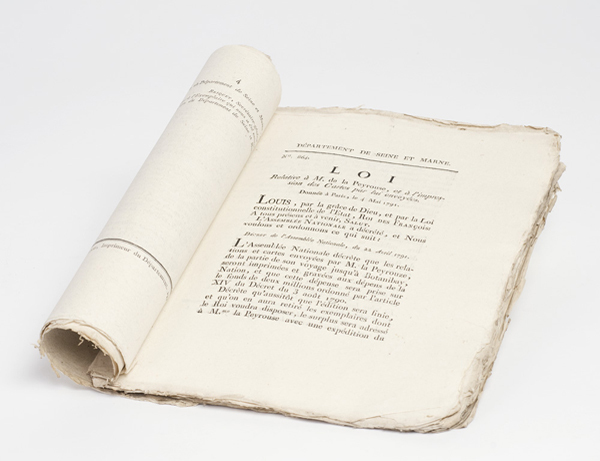 Quarto, 4pp, letterpress, stitch-bound with a number of other pieces of legislation from the period, without further binding; in crisp, fine condition. This decree by the Assemblée Nationale is the official order to bring forth all documents and manuscripts relating to La Pérouse, missing since his departure from ‘Botanibay’ at the beginning of 1788. It follows on from an earlier decree of February 1791, in which the loss of La Pérouse was first officially acknowledged. The great navigator La Pérouse had seemed destined to rival the achievements of Cook, and to reassert France’s position as the pre-eminent colonial power in the South Seas. It was not to be, the explorer vanishing without trace in the Western Pacific, his last contact being with the barely ashore English settlers of Arthur Phillip and the First Fleet at Port Jackson. The present decree rules that all pertinent manuscripts, papers and charts be brought forward so that an official account can be made of the voyage. This work would take a number of years to compile. First published in 1797 as Voyage de la Pérouse autour du Monde, it would come to be regarded as one of the great narratives of maritime exploration. 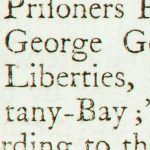 A version of the May 1791 decree appears at the start of the book. The May 1791 decree is rarer than that of February 1791: only a handful of examples are known worldwide, and we can trace no other example with this particular regional imprint. The National Library of Australia and Mitchell Library hold examples of the Paris imprint, while a copy of the Grenoble imprint was offered for sale by Hordern House in 2006 (The Parsons Collection).